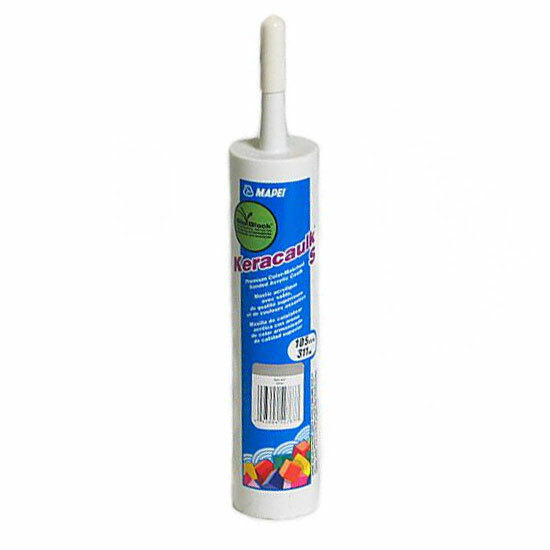 Mapei Keracaulk S (avalanche) is a premium-grade, easy-to-use, easy-to-clean siliconized acrylic caulk formulated to match the color and texture of Mapei sanded grouts. • Application temperature range is 50°F to 90°F (10°C to 32°C). • Apply only to clean, dry surfaces. • For both Keracaulk S and Keracaulk U, joints should not exceed 1/4" (6 mm) in width. • Do not use for exterior projects or applications subject to constant water immersion. • Do not use in areas where joints will be subject to heavy abrasion or wear. • Allow new concrete to cure for 30 days before caulking. • Although Keracaulk S and Keracaulk U are color-matched to MAPEI’s grout color system, expect a slight variation in color due to the difference in composition between materials. • For applications beyond 1/4" (6 mm) in depth, the caulking depth must be controlled by a closed-cell backer rod. • Vacuum out joints and wipe them clean with a damp rag. 1. Read all installation instructions thoroughly before installation. 2. Tile should be firmly set before caulking. Typically, this is 24 to 48 hours after tile installation. 3. Caulking may be done either before or after grouting. 4. For a clean, straight and neat caulk joint, mask both sides of the joint with masking tape. 5. Keracaulk S and Keracaulk U come ready to use. Apply with a caulking gun. Do not open cartridges until preparatory work has been completed. 6. Cut nozzle tip to desired bead size at 45-degree angle. 7. Completely fill joints with sealant and smooth over with a wet finger. 8. Excess caulk should be removed with a damp cloth before caulk skins over. 9. Immediately wash hands and tools with warm water and soap. 1. Allow at least 4 to 6 hours drying time before painting. 2. Protect from water exposure until fully cured at least 72 hours. Note: Larger beads of caulk and cool, humid conditions will require a longer drying time.